TV Choice magazine announced on Twitter that the annual TV Choice Awards would no longer take place at London's Dorchester Hotel, which operates under the Dorchester Collection brand, a luxury chain owned by the Sultan of Brunei. 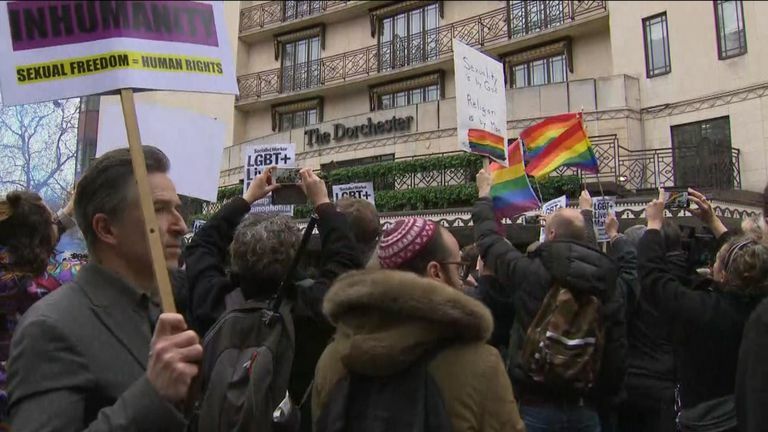 London-based newspaper the Financial Times also said in a story on its website that it would cancel a planned event at the Dorchester Hotel and would not use any other Dorchester Collection hotels. Deutsche Bank announced in a statement that its employees would no longer use Dorchester hotels on company business. 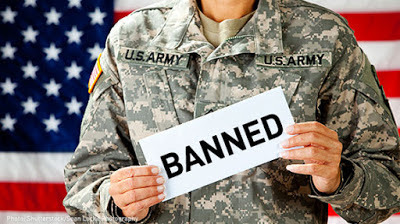 "The new laws introduced by Brunei breach the most basic human rights, and we believe it is our duty as a firm to take action against them," the investment's chief risk officer Stuart Lewis said. STA Travel, which focuses on travel for students and young people, wrote on Twitter that it would no longer sell flights on Brunei's national carrier, Royal Brunei Airlines, "in protest at recent changes to the law in Brunei." Customers who have already bought flights on Royal Brunei Airlines will be refunded if they no longer wish to fly with them, STA Travel said. Brunei, a tiny country on the island of Borneo, first nnounced the brutal new anti-LGBT laws in 2014, and they came into effect on April 3. Celebrities including actor George Clooney, comedian Ellen DeGeneres, musician Elton John and tennis star Billie Jean King have called for a boycott of nine hotels owned by the country, which also include Hotel Bel-Air and the Beverly Hills Hotel in Los Angeles, Principe di Savoia in Milan and Le Meurice in Paris. 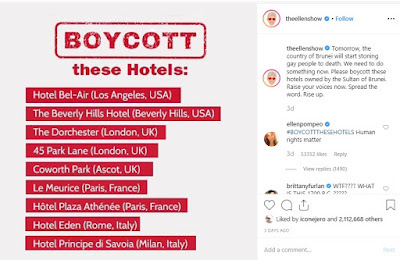 Clooney said: "Every single time we stay at, or take meetings at or dine at any of these nine hotels we are putting money directly into the pockets of men who choose to stone and whip to death their own citizens for being gay or accused of adultery." 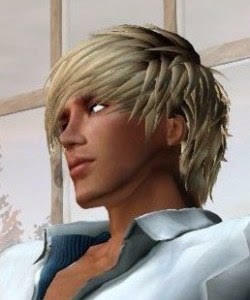 We have to stop this new atrocity against LGBT people!!! DeGeneres wrote on Instagram: "We need to do something now. Raise your voices now. Spread the word. Rise up."